Trainer Ken Keys will make a rare trip to Sydney in search of his first Group One success. Spanish Reef will try to extend her winning sequence to four this campaign when she runs in the Coolmore Legacy Stakes (1600m) at Randwick on Saturday. The mare was given a visitor’s draw when barriers were declared on Tuesday, coming up with 15 in the 17-horse field. She is currently a $9 chance with Dixie Blossoms (barrier 16) the $5.50 favourite. “It’s not ideal the draw but I suppose they’ve been a little less kind to the favourite,” Keys said. Keys said he would not be making any drastic changes to her racing pattern despite the wide draw. 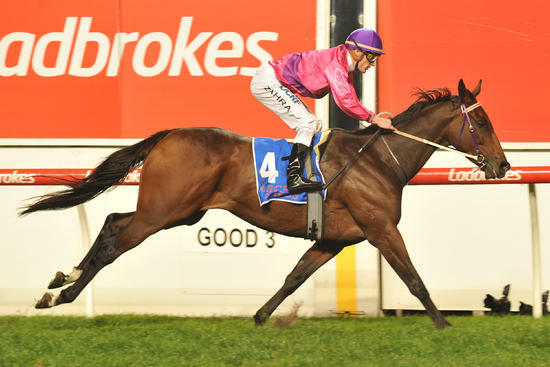 Spanish Reef will head to Sydney on Thursday night from her Cranbourne stable. “That way there’s not a lot of time for things to go wrong,” Keys said. “It’s her first trip away so there’s a lot of guessing how she’s going to cope. “I haven’t had a lot of runners in Sydney over the years as Sydney can be a pretty intimidating place if you don’t know it. Keys has been chasing a Group One win for almost 30 years. His first Group One runner was Saloon Rule in the 1989 Blue Diamond Stakes, but she missed the start and finished at the tail of the field. Despite being represented in many Group One races over the years, Keys admits some of his horses probably weren’t quite up to that class. “There’s probably only been two or three that were real chances before this mare,” he said. Keys says Saturday’s race will be the last for Spanish Reef this preparation before she is spelled with a view to the spring. “The turn around time is not long and I think she’s a genuine spring horse,” he said.